C. Park Seward was owner and President of Video Park, Inc., the largest independent television production and post-production facility in Louisiana from 1982 to 1998. Park is now working to save old videos for the future with The Transfer Lab at Video Park. 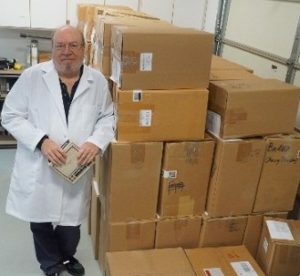 Over a number of years, Park searched for and acquired the ancient video equipment that had fallen into disrepair and disuse. Restoration became a monumental task since spare parts had not been made for some of this equipment since the early 1960s. It was necessary for Park to search worldwide for parts and documentation and then complete the repairs. Seward is the recipient of numerous advertising awards recognizing the excellence of his shooting and editing as well as his company’s work. Among the many awards are AAF ADDYs, ITS Monitor awards, Telly awards and ITVA Golden Reel awards. Community awards include 1991 Business of the Year, presented by the Baton Rouge Business Report magazine. Several from the Ad Federation of Greater Baton Rouge including the Distinguished Service Award in 1989, ’94, ’95 and ’97, and Vendor Appreciation Award in 1990, ’93 and ’96 and 1993. He was selected as the Marketer of the Year presented by the Sales and Marketing Executives International (SMEI). 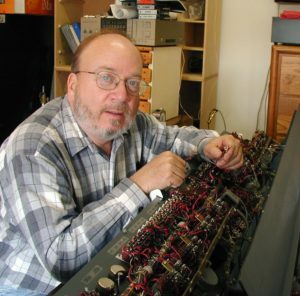 Seward was also honored for the work he has done for the International Teleproduction Society (ITS) Engineering Committee by being the presenter for the Excellence in Engineering Awards at the 1995 and ’96 International Monitor Awards. Park wrote a monthly column for the national publication Television Broadcast magazine titled “Brass Tacks” between 1999 and 2001. He has also written articles about the business and technology of teleproduction for the following national publications: Millimeter, Videography, Post, On Location, Shoot, Shot in LA and Markee. He wrote a monthly column for Shot in LA from January 1996 to January 1998. Seward has served as a judge for many national and international television awards shows. They include the American Advertising Federation ADDY shows, International Television Association Golden Reel Awards, Cine Awards and International Teleproduction Association Monitor Awards. He has judged many AAF local and district Ad Award shows. Seward served three terms on the Board of Directors of the International Teleproduction Society (ITS) as Vice-Chairman and Treasurer and as chairman of many committees. He is a former executive and vice president of the Advertising Federation of Greater Baton Rouge and past president of the International Television Association, Baton Rouge chapter. After moving to California in 1998, Park became more active in the Society of Motion Picture and Television Engineers, serving on Working Group i23 for Imaging Technology. The group is investigating standards for 24F progressive mastering formats, Metadata and new ways to synchronize equipment in a plant using information from GPS satellites. Also, as a member of SMPTE DC28.2, Park helped set future standards for Digital Cinema. The CBS Television show “Big Brother” was an exciting opportunity for Park to work on a project that had never been done in the States before. He helped design and construct the post-production facility and operated the technical side during the first season of the show. One of his jobs was to make sure the program was fed correctly to the network. More than 70 shows were fed without problems. Park also was the back-up on-line editor for the show as well as the primary Chyron operator. He also shot video for the show used in creating the show opens that had to be re-shot each time a house guest was banished. In demand as a presenter on teleproduction issues, Seward has spoken at the International FIMM Teleproduction Conference in Paris, France, the ITS Annual Forum, ITVA International Conference, Bellcore National Conference, and the ITS President’s Retreat as well as colleges and universities. He has also produced many seminar sessions on television production and post production. He has worked freelance for the Walt Disney Company since 1987. 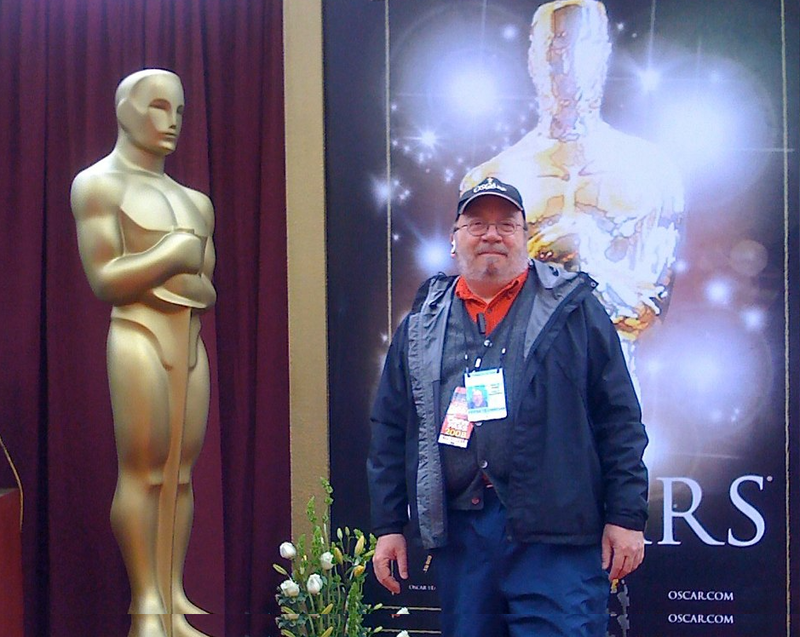 He has been a cameraman, editor, technical director and post-production supervisor for press events, grand openings of Disneyland attractions and world premieres of Walt Disney motion pictures. Park assisted at the Grand Opening of Disney’s California Adventure as Technical Director of the live worldwide satellite uplinks. Seward has served as an expert witness on video techniques and quality for several legal trials. 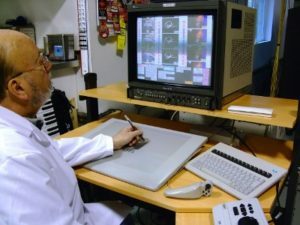 He’s was a member of the Association of Imaging Technology and Sound and the Society of Motion Picture and Television Engineers for many years. Motion picture “junkets” are an interesting way to promote films by having television reporters interview the stars of the films. Seward worked with many stars during these junkets including George Clooney, Brat Pitt, Cameron Diaz, Christopher Plummer, American Idol stars, Roseanne Barr, Paulie Shore, Nicholas Cage, Steven Speilberg, Drew Barrymore, Michael Caine, John Williams, Larry King, Russel Crow, Don Cheadle and others. ESPN uses Park’s talents as a Senior Video Engineer for national broadcasts. He worked the V1 since 2001 for football, baseball, boxing, soccer, basketball and others, even SportsCenter. 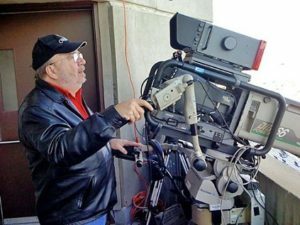 He has traveled over 150,000 miles a year for several years flying across the country to work on live sporting events. Park also was the Engineer-in-Charge of the 45-foot mobile unit used to produce the ESPN daily show “Up Close”. Park worked in the Federal Republic of Germany while in the Army. He was a script writer, announcer and production manager with the American Forces Network, Europe. Park’s first paying job in television was in the studio of Louisiana State University in 1970. Working as a cameraman and director, Seward also learned television engineering. It was only black and white, but it was TELEVISION!